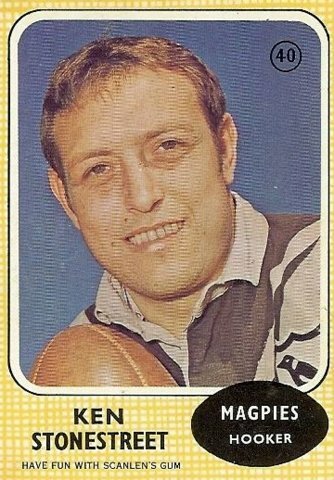 It is very saddening to announce the death of one of the Magpies greats. after a long battle with illness. Story below is from the Campbelltown – Macarthur Advertiser. Macarthur has lost one its toughest fighters, with the death of Ken Stonestreet last week. Ken succumbed to breast cancer on Thursday morning after a nine-month battle. He was a committee member of the 24 Hour Fight Against Cancer Macarthur, and last year opened the walkathon with his wife, Liz Stonestreet. Both suffered from breast cancer. ‘‘I want to thank all our friends and community for supporting our family over the past weeks,’’ Mrs Stonestreet said. ‘‘Also the staff at Campbelltown Hospital and the Camden Palliative Care Unit. ‘‘Ken was very passionate about breast cancer in men, and after the completion of his treatment he wanted to get around and spread the word that men can get breast cancer too. 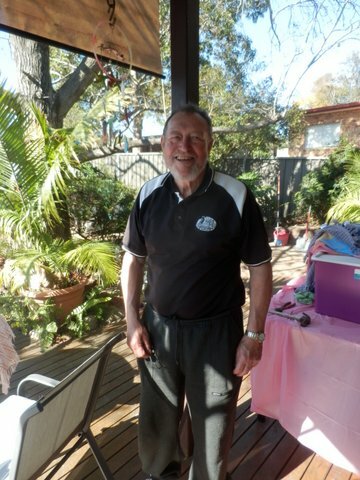 The Bradbury father of six and grandfather of 14, also known as ‘Nebo’, played rugby league for Western Suburbs from 1967-1972 after a three year stint with Eastern Suburbs. He was recently visited in Camden Hospital — where he had been since Easter — by representatives of Men of League. Fifteen years ago Ken battled — and beat — bowel cancer, and had been a member of the 24 Hour Fight for five years. He told the Advertiser last October: ‘‘I have a chance to tell men that we can get it too. ‘‘I was a knockaround bloke, liked a drink and a smoke, and you just don’t think you’re going to get it. if you feel a bump, get it checked"
There are 2 stories about Ken Stonestreet on this website. Ken on the day of my interview. Nebo thanks for the memories.